We have been warning about this day for years. 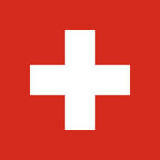 Despite a valiant effort by Swiss banks and some politicians, Switzerland was no match for the IRS. Whether you approve or disapprove of Uncle Sam’s tactics, the recent criminal prosecutions of Swiss banks by the United States Department of Justice proved too much for the Swiss. First it was UBS. Then Wegelin, Switzerland oldest private bank and in existence since 1741. Then Credit Suisse. These banks paid billions in fines and penalties and Wegelin paid the ultimate price. It was unable to survive after being convicted of helping 100 Americans evade taxes by using offshore Swiss bank accounts. Swiss banks Julius Baer and HSBC Switzerland reportedly are the next targets of US prosecutors. So what about the remaining Swiss banks? They are racing to cooperate with the Justice Department and IRS and avoid huge fines. The Justice Department is offering a program to Swiss banks to allow them to help comply with US reporting laws. Although Swiss banks still can’t turn over certain account information, the U.S. government has offered a program that allows them to pay a penalty in lieu of being charged criminally. The more American customers individually comply, the lesser the penalty. Banks that are believed to be participating include Union Bancaire Privee, Coutts, St. Galler Kantonalbank, Schroders Plc, Cie. Lombard, Odier SCA, Rothschild Bank AG, EFG International AG and dozens of others. While Swiss banks won’t turn over everything just yet, they have been trying to force their customers to comply with US offshore reporting requirements such as FATCA. Those customers that do not comply face the prospect of having their account closed and the real possibility that the IRS will get their information anyway. To avoid criminal prosecution, banks must pay penalties based on how many non- FATCA compliant accounts they have. An account is noncompliant if the U.S. taxpayer has not properly reported the account to the IRS. To avoid prosecutions, participating Swiss banks must pay a 20 percent penalty based on the value of noncompliant accounts that existed on August 1st, 2008. The penalty increases to 30% for accounts opened between August 2008 and February 2009 and 50% for accounts opened after February 2009. The penalty for an American taxpayer with an unreported foreign account is up to the greater of $100,000 or 50% of the highest account balance. Recent changes to the IRS’ offshore reporting amnesty program, called the 2014 Offshore Voluntary Disclosure Program, make it critical to come into compliance as soon as possible. There are ways to reduce or avoid penalties but time is running out. Once the IRS gets your name from a foreign or Swiss bank, reducing penalties becomes much more difficult.